Click on an entry for a complete quotation. 9659-HK DOALL Band Saw, Doall, Vertical, 36"
10238-HK UMI Coil Breaker, UMI, 60" x 0.135"
10255-HK LEE SHAFFER Coil End Joiner, Lee Shaffer, 60" x 0.250"
6503-EX BRANER Conveyor, Braner Transfer, 15,000# x 84"
9936-HK LITTELL Feed, Littell, 36" x 0.170"
10615-HK IOWA PRECISION Feeder/Shear, Iowa Precision, 36" x 0.075"
9797 HERKULES Grinder, Cylindrical, Herkules, 25" x 135"
10309 LANDIS Grinder, Roll, Landis, 24" x 96"
9312-HK LANDIS Grinder, Roll, Landis, 60" x 252"
9646-HK CHEVALIER Grinder, Surface, Chevalier, 20" x 60"
10240-HK ROWE Hump Table, Rowe, 72"
10242-HK ROWE Measuring Table, Rowe, 72"
9665-C CUSTOM Peeler Table, Cincinnati, 60"
10502-HK PROGRESSIVE Pinch Roll, Progressive, 72"
9631-HK MECON Roll Feed, Mecon, 32"
9562-HK PLANET Roll Lathe, Planet, 14" Dia. 7700-EX ASCO Slitter Knives, Asco, 8" I.D. 9803-HK CUSTOM Slitter Tooling, 10" I.D. 10112-HK ASKO Slitter Tooling, Asko, 9" I.D. 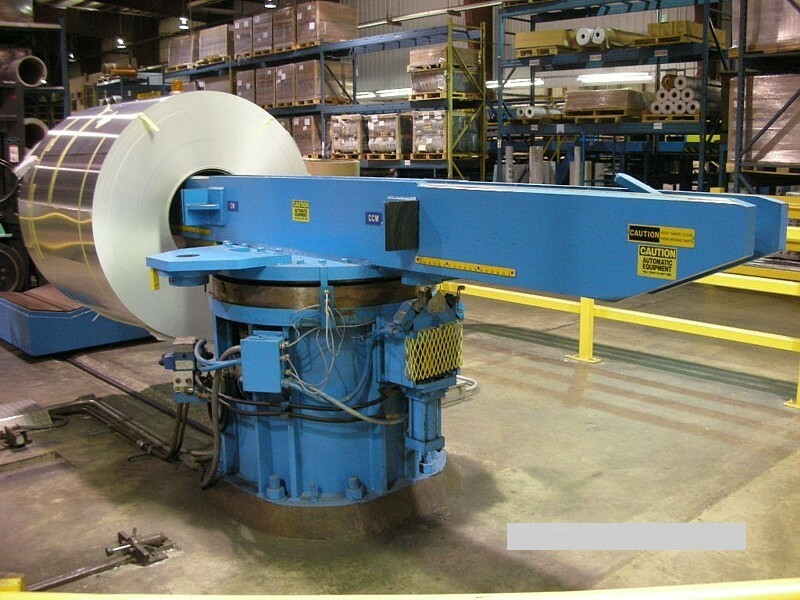 5238-HK EMAG Stacker, Coil, Emag, 10,000# x 72"
10391 STRILICH Stacker, Strilich, 72" x 0.500"
9048-HK PROGRESSIVE Stitcher, Progressive, 72"
8696-DH STAMCO/HUNTER/BEHLEN Tension Level Line, Stamco-Hunter, 56"
8893-HK NOVA Tension Stand, Nova, 48"
10473-HK STRILICH Tension Stand, Strilich, 72" x 0.135"
9600-DH STAMCO 26" x 4.12" x 10,000# Stamco / Ruesch Alum. Fin Stock S.L.